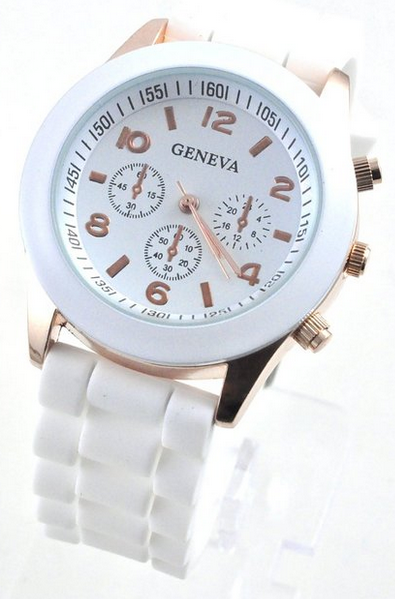 Geneva Chronograph Watch Only $3.66 + FREE Shipping! You are here: Home / Great Deals / Amazon Deals / Geneva Chronograph Watch Only $3.66 + FREE Shipping! Need a new watch or want to treat yourself to one for your collection? I have a fantastic deal for you – get this Geneva Chronograph Watch for just $3.66 + FREE shipping! I love Geneva watches. These are the only kinds I wear because they’re so stylish and comfortable! And, you can’t beat the price!